UPDATE (13 MAY 2015): My thoughts are with the victims and families of last night’s Northeast Regional 188 that derailed in Philadelphia. Having ridden the DC-NYC portion of Amtrak’s Northeast Regional twice a month for the past three years, I feel I should write something about it, but do so more out of a sense of obligation than any deep feelings for Amtrak at its most utilitarian. To quote Theroux’s The Old Patagonian Express, “No good train ever goes far enough, just as no bad train ever reaches its destination soon enough.” The Northeast Regional lies squarely in the mildly pleasant middle. First off, compared to most other routes, the Northeast Regional is expensive – which is probably why it’s the only Amtrak line that pays for itself. It can also get crowded, forcing people to roam from car to car in search of a seat or, as I did one Thanksgiving-eve, sit on the floor between cars, surrounded by fumes (the tunnel into Baltimore was especially pungent) and the occasional snowflake. Recently dug up some old photos from my 1993 Trans-Siberian trip through post-Soviet Russia and posted them to the Facebook page. The changes over the past 20 years to Moscow and Ulaanbaatar, let alone Beijing, are stunning – check out the line, traffic, and dated cars outside Moscow’s first McDonalds. Arranged, in the pre-Internet era of letters and faxes, by Hong Kong’s old school specialists in Trans-Siberian travel, Moonsky Star Ltd., the Trans-Siberian took me from Beijing to Moscow with stops in Ulaanbaatar, Mongolia and the Siberian city of Irkutsk. It was my first-ever ‘real’ train trip and spawned a love of travel by train that still burns brightly enough to make even Amtrak’s DC-NYC Northeast Regional feel compelling. Enjoy the pics: the emptiness of the Gobi Desert, Ulaanbaatar’s first steps in throwing off a long, cold Soviet winter, and the first signs of the commerce soon to envelope Moscow. 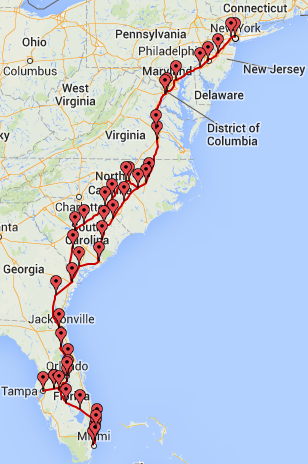 UPDATE (29 JAN 2014): Skipped the Auto Train this year and tried the Miami to NYC ‘Silver Meteor’. While slower than the Auto Train, thanks to many more stops, Amtrak’s Silver Service trains go beyond the Orlando and DC only destinations of the Auto Train, making things more convenient for traveling outside those two areas – though without the benefits of carrying your car. 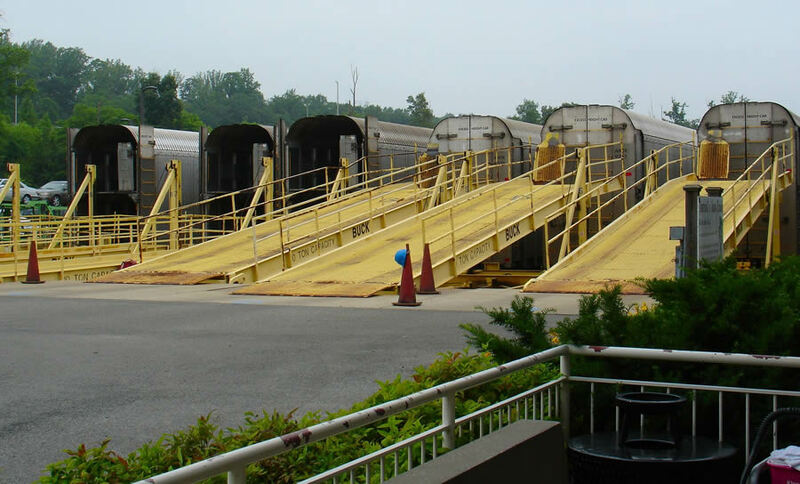 UPDATE (2 JAN 2013): I tried the Auto Train once again this holiday season and found it much the same – the convenience, relaxation, pleasure at avoiding both I95 and the airports, all were just as enjoyable as last year. The restrooms can get a little gamey after a few hours, but still a solid way to get to/from Florida. While not as classy as the City of New Orleans between Chicago and the Big Easy, Amtrak’s DC-Orlando Auto Train is convenient as hell for getting you and your car to/from Florida. You drive up to the station, hand your keys to an attendant, grab the stuff (change of clothes, toiletries, booze) you want to take on the train, then walk inside the station and prepare to board. Once you drop off your vehicle (anything from a motorcycle to an SUV), an attendant will drive it onto an enclosed car carrier. This will be the last you see of your vehicle until arrival, so be sure and get everything out of it you want on the train. Once inside the station, you wait in line to pick up your boarding pass and schedule dinner in the dining car – with nearly 500 people on the train, the evening meal is served on a rotation. And the dining car attendants do not take kindly to anyone arriving late or dallying through a meal. 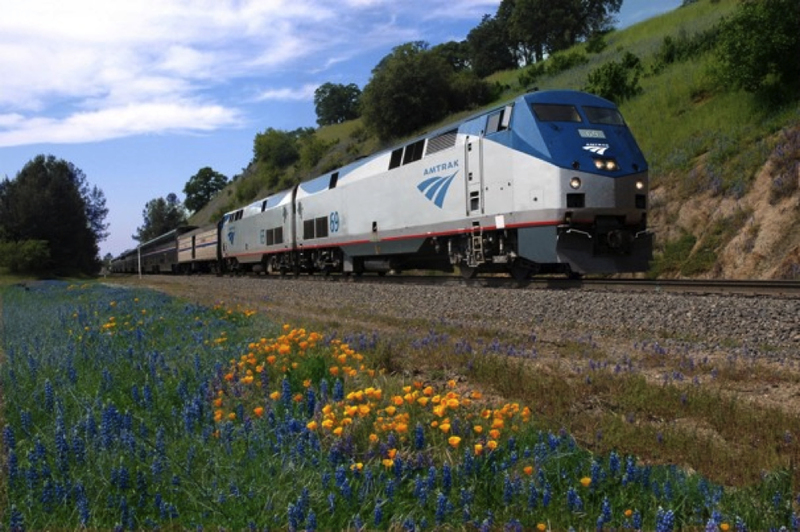 [hang2column element=”div” width=”435″] [/hang2column] Great story in last Saturday’s Washington Post on riding Amtrak from DC to San Francisco, via Chicago. With comments like, “Sleep came easily — the train is surprisingly smooth and quiet,” “Train etiquette seemed to involve asking strangers where they were headed and why they’d chosen the train,” or “The amount of space between rows on these trains makes a joke of airplane legroom,” it’s obvious the author is somewhat new to long-distance train travel, but appears smitten with the new/old option. Welcome. As someone who was long ago taken with train travel, having ridden lines from Saigon-Hanoi to the Trans-Siberian, and written about trains from Chicago to New Orleans and Tehran to Istanbul (excerpt), I heartily recommend stepping away from the plane, hitting the pause button on your rush (unless you’re taking an actual bullet train, then by all means, enjoy the rush), and trying a little travel. You may be disappointed, you might overpay, it may be unpleasant (i.e. Tehran to Turkey), but it just might be worth it. [hang1column element=”div” width=”122″] [/hang1column] [Book Review] Crotchety old Theroux is at the top of his game in Dark Star Safari – his acerbic comments on NGOs and aid workers are alone worth the price of admission. At the heart of the story is Theroux’s return to Africa, specifically Malawi, where he served as a Peace Corps volunteer in the 1960s. His previous experience makes his comments on current aid workers, and the state of Africa then and now, especially pointed and poignant. Not just Malawi, the book covers Africa north to south, from Egypt to South Africa, with all manner of travel in between. Armchair travelers of the, “I was moved to the utter core of my soul by the inner beauty and simple customs of the entrancing natives” crowd will not like this book, or Theroux. More experienced expats however, should find much to like. A book on my travels in Bush’s three Axis of Evil countries. Excerpts from the book are available in the Iraq, Iran, and North Korea sections of this blog, with additional photos on the book’s website at: AxisofEvilWorldTour.com. My goal in writing the book is to present the countries as I saw them, without adhering to any particular branch of U.S. politics or foreign policy – if you are a diehard Democratic or Republican ideologue, I’m not your guy. For more on the book, please check out my interview with Chicago NPR station, WBEZ. 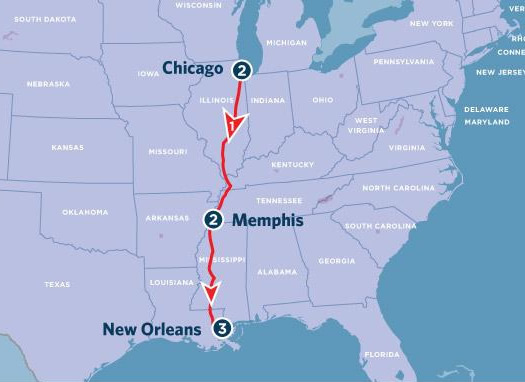 Amtrak’s Chicago to New Orleans train is unique. For those used to thinking of trains coldly, as just another form of dilapidated mass transit, The City of New Orleans is a throwback to a different era: a time when travel could still embody glamour and style. 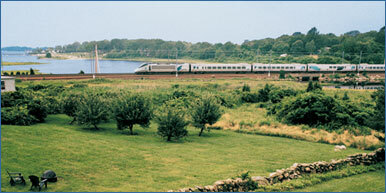 The outfittings and appointments are newer, the dining car cleaner, and the level of service higher. None of the airline envy you see on so many trains [yes, I’m talking about you, Northeast Corridor], with their jammed seating, lousy vending machine ‘food’ and decrepit facilities; The City of New Orleans rescues travel from the airlines’ nine circles of hell and returns it to something … dare I say … enjoyable. Have ridden everything from ‘the train they call the City of New Orleans‘ to the Trans-Siberian, I’m always on the lookout for a new train trip. Recent word out of China and Tibet is that the Beijing-Lhasa route may finally be getting a fancy new luxury service, one costing upwards of $10,000 for a one-week trip. The latest Oppression Orient Express could reportedly start as early as this month, though there is always the chance the long-rumored service may once again get put on hold. As a previous visitor to Iran, North Korea, and other similar highlights of dictatorial nastiness, I’m not normally squeamish about the contentious practice of taking tourist dollars into regimes best left to wither and die – believing the best way to undermine such governments is through outside exposure and contact. However, Tibet has always given me pause, especially anything that could help the Han Chinese at the expense of the Tibetans. In this case, the outside contact appears to be part of the problem, rather than part of the solution. Your thoughts? [Book Review] Early Japanese bullet trains, travel across the Soviet Union on the Trans-Siberian, the old Orient Express, Theroux’s book (originally written in the mid-70s, but reissued in the version here) is a classic of travel and railway literature. Especially suitable for reading on a cold day somewhere in eastern Russia on the Trans-Siberian, but enjoyable on any train. Beware, it can make for an expensive read as it lures you in to making your own trip.